We manufacture and offer a wide range of Thermal Paper Slitting Rewinding Machine that is precisely designed and constructed to meet the standards that effectively meet the requirements of Fax Roll. We offer Thermal Paper Slitter Rewinder Machine is provided with razor cutter arrangement and can slit up to 50 mm width. This is the High Speed Automatic Tape-Less Slitter Re-winder machine for slitting the Thermal Paper Rolls, ATM Rolls, and POS Rolls etc. Also, heavy duty all type of Rubber Rollers Manufacturer. The machine has High-Speed up-to max 240 mpm. 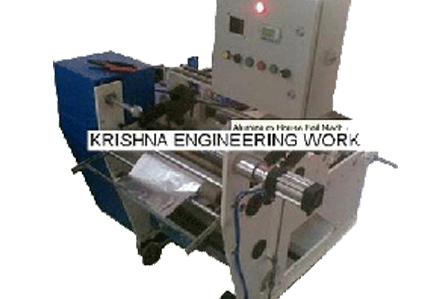 This Tape Less slitter re-winder can cut the Thermal & Plain paper from 40 GSM-200 GSM with Fine Edge finishing. The rolls are slit & Re-wind on a single shaft (like 5-8 rolls in single shaft) and will separate easily. This is very efficient machine for Fast Production. This machine can cut 60,000-70,000 paper thousand meter in 8 hours. The cutting procedure is done by Rotary Cutter blade (Top & Bottom). Application of machine: for THERMAL PAPER ROLL, ATM ROLL & POS ROLLS etc. 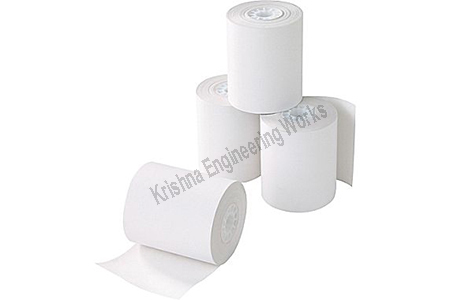 We have been successfully Manufacturing, Exporting & Supplying all types of Thermal Paper Slitting Rewinder Machine since last 25 years from Ahmedabad, Gujarat, India. With more than 1400 installations all over India and overseas like Saudi Arabia, UAE, Dubai, Sharjah, South Africa, Nigeria, Ghana, Congo, Kenya, Zambia, Sri Lanka, Bangladesh, Malaysia, Pakistan, Nepal, Russia, Thailand, Indonesia, Brazil, Colombia, Venezuela, Argentina, Mexico, Canada, etc. We are winner of 3 times National Award and 2 times International Award for Quality manufacturing. Finished Roll Dia. : Up to 400 Mtr.